Welcome to The Denton Orator website! According to the Greek philosopher Plato, necessity is the mother of invention. Sharing that philosophy, Stan Bingham recognized the necessity for supplying Denton residents with a quality newspaper and thus was born The Denton Orator. Established in 1995, The Denton Orator is housed in “the old bank building” on the corner of North Main and Salisbury Streets in the heart of downtown Denton. Bingham, a prominent community leader, purchased and restored the building so as to preserve its historic value and architectural beauty. 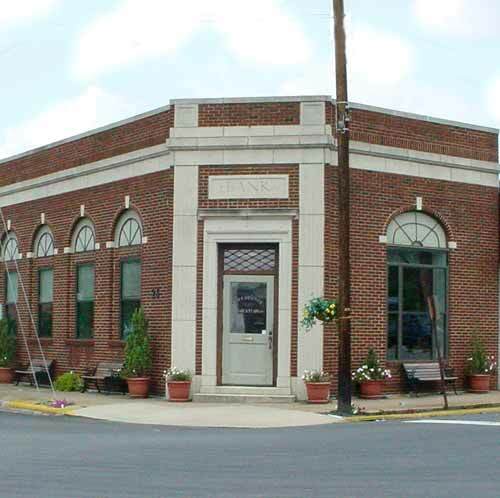 It made the perfect home for a small town newspaper. The first issue of The Denton Orator hit the stands in December of 1995. Weekly publication began in January of 1996 with a circulation of 300. Today, The Denton Orator has grown to a circulation of 2,200, providing community news to readers in Denton and surrounding areas including Lexington, Thomasville, Asheboro and High Rock Lake. The Denton Orator is an award-winning member of the North Carolina Press Association and is published on Wednesdays. Deadline for all news and advertising is noon on Friday!